Dustin and Nolan Brown are brothers that are third generation mechanics. 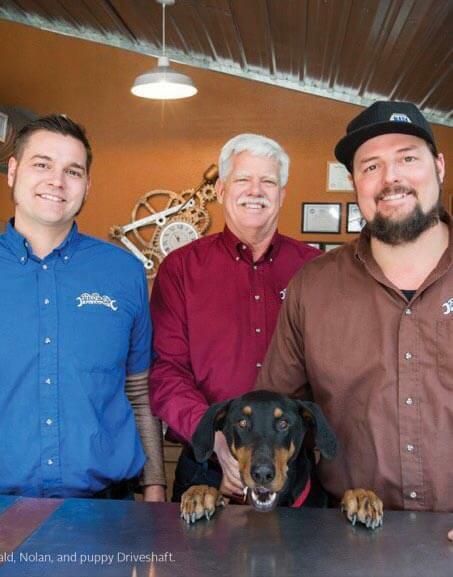 Their father Donald started Browns Automotive in 1982 and has since then handed the reigns to his two sons. Donald's father Joe Brown also owned a repair shop in Bosque Farms. Both brothers grew up in the North Valley and graduated Valley High school. Nolan moved to Las Cruce for many years to go to school and work. Dustin spent about 8 years living in Minneapolis. They both found their way back to Albuquerque and have been enjoying working in the family business. Nolan has been working at the Los Ranchos store, building it up from the first day we opened and Dustin has been working at the original location near Montano. Nolan enjoys horse riding and working on his hobby ranch in the east mountains, Dustin enjoys playing music and raising chickens. He now has 20 chickens! They both enjoy the challenges of running a business and have a lot of ambition to continue to be a staple in the community. Both brothers are always in the shop and love to meet new faces as well as keep in touch with existing friends!